If you have been the victim of an accident that has resulted in a personal injury then you may qualify for some accident compensation, especially if the injury was not your fault and has left you struggling financially and out of work. Many companies are now operating across the county offering to help people effectively make accident or personal injury claims. You will have no problem with companies offering services that promise you a slick and efficient claim process that gives you a maximum pay-out. It’s important that you have a careful think about which company you should turn to in order your accident claim goes through efficiently. This blog post should give you some help in regards to the claims process. Online accident compensation calculators – You can discover online using accident compensation tools how much you could make for different body parts that have suffered an injury through non-fault accidents. Claiming Advice – Free advice is available from the majority of solicitors who offer this service, free phone numbers are usually available too. Tailor made advice is on offer from these solicitors so you can ask them anything relevant to the incident and they will consider your case. A personal injury compensation solicitor – Avoid using a solicitor who offers generic legal experience services. Instead, to save money, you should opt for the services of a solicitor with specialist experience in helping people to make accident claims. 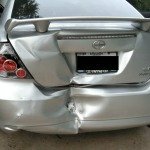 Direct claim solicitor – Where possible always opt for the services of a direct claim solicitor as they have specific experience in personal injury that result in accident claims. Direct claim solicitors do not have overheads that deal with insurers, brokers and accident management companies so can pass these saving on to you. A solicitor who can offer cash alongside compensation – You should consider one of the solicitors who offer cash along compensation to clients they have won cases for. Such solicitors are able to do this by cutting out middlemen. Choose a solicitor with considerable experience – Choosing a solicitor with at least five years' experience should increase your claim's likelihood of success. Established solicitors will usually promote the length of time they have been practicing within their profession. Look out for ‘no win – no fee' guarantees – Opting for the services of a solicitor offering one of these guarantees ensures that you will be protected against losing money regardless of the success of the accident claim. Following the above tips will ensure that you get your accident compensation claim of to a good start and hopefully go a long way in getting the pay-out you deserve. Solicitors are available as mentioned to give free advice so if you have suffered injury from an accident that was not your fault then do not hesitate, what do you have to lose?